Ruth at Once Upon A Feast had a great idea--Presto Pasta Night. And I'm very glad she had this idea. I realized that I haven't fixed pasta in over a month. How did that happen? Very odd, as we usually eat pasta at least once a week. So, thank you very much Ruth, you got me back on the pasta track. I'm sure there will be many others making lovely pasta recipes and you'll find their efforts in the Roundup at Ruth's site this Friday. It's been cold and wet here, not cheerful at all. 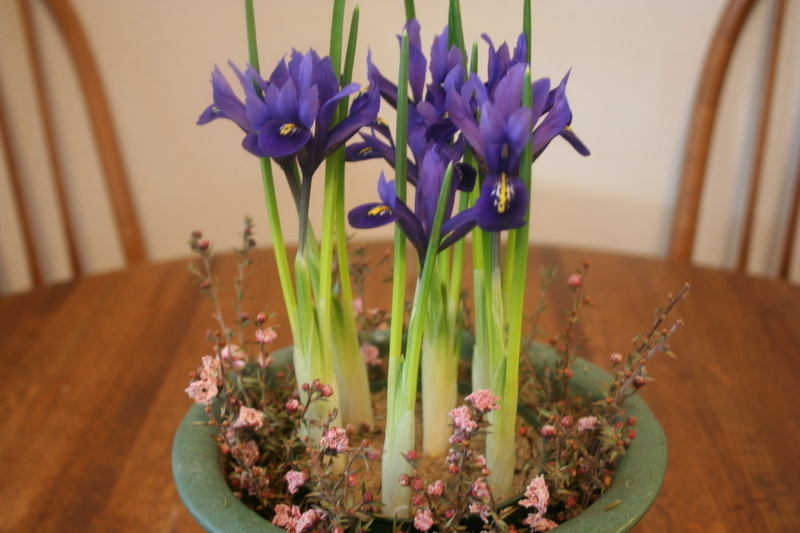 One thing that brightened my mood was this simple little centerpiece of speckled baby Iris bulbs. 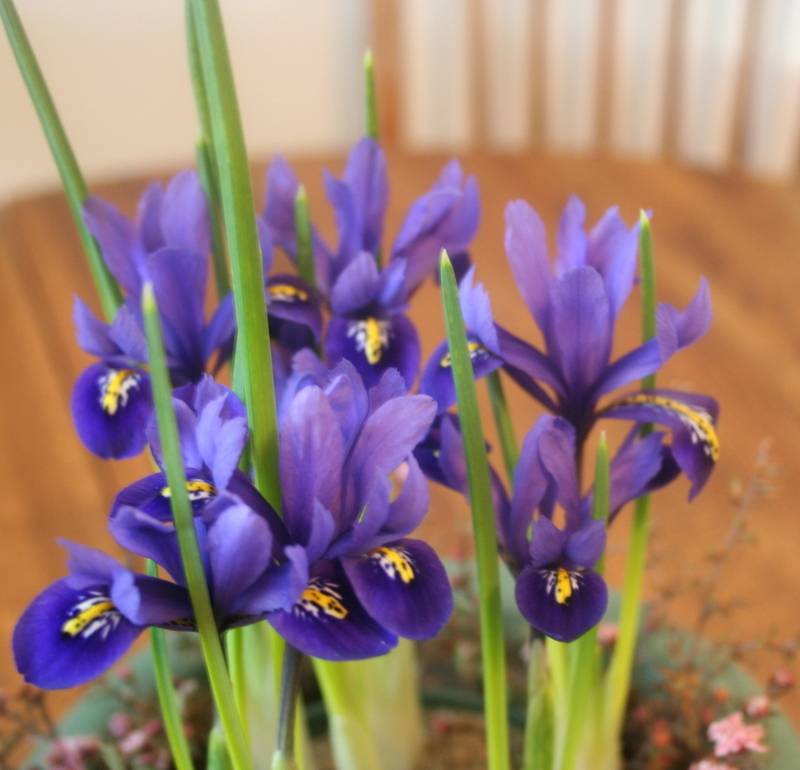 I love these early spring flowers and have larger Iris plants in my yard, but they are weeks away from flowering. This little centerpiece is on a small breakfast table and it makes me smile each morning as I eat my oatmeal. I offer it for Janelle's Centerpiece Of The Month at Talk Of Tomatoes which ends tomorrow for February! There will be better and more artful centerpieces than mine there for your consideration. The Iris on the left whispered to me this morning, "Spring is coming!" Today I was trying to prepare a week's worth of menus and realized that I don't have a proper idea of what's in my pantry. I use about 25% of the staples in it each week, then go to the grocery store because, "I don't have a thing to cook with". I guess it's good to have a storehouse of items in case bird flu ever strikes and I never want to leave the house. But, I decided to make a meal today from the forgotten items in the pantry. The first thing I noticed was the box of Puy lentils that Nancy gave me. Ever since Ulrike informed me that they are called caviar for the poor, I haven't been able to think of them any other way. These are amazing little devils. They hold their shape better than other lentils and have a superior look and taste. I also had some red wine left over from the bottle I opened to make the red onion and red wine soup this weekend. Combined with a few other ingredients, I wound up with a very good meal. 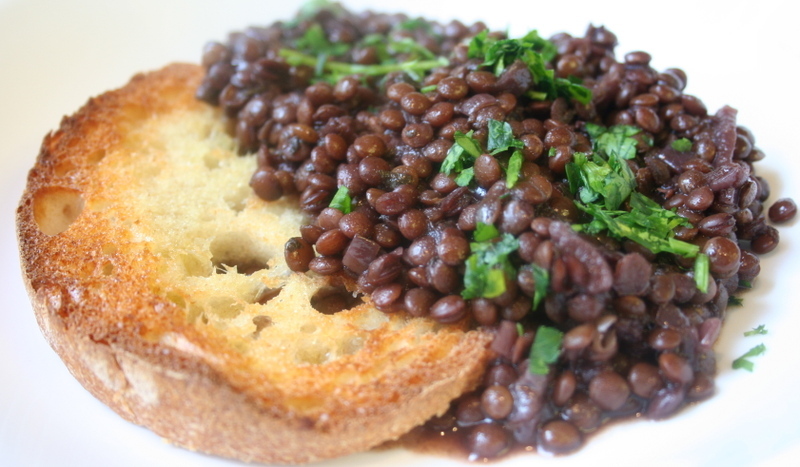 The wine gave the lentils a tangy, sophisticated taste, worthy of "caviar for the poor". Since this recipe contains a substantial amount of wine, I'm mindful of a question asked by Sandeepa, regarding my red onion and red wine soup. She asked about a substitute for the wine, because young children would eat the soup. Like many people, I've always heard that alcohol burns off quickly when you cook with it. But, it's not as simple as that. Apparently, the length of time, whether the pot is covered during cooking, and other factors come into play. If you have any doubts, you might want to read this. I was surprised! And thank you for asking that question Sandeepa. There are several recipes that I turn to when I want to cook something fast, favorites that I can almost cook on autopilot. They're recipes that I find myself craving, so the ease in cooking them doesn't mean that taste is ever sacrificed. I made both these meals on separate nights this week when I was tired and wanted a comforting meal. 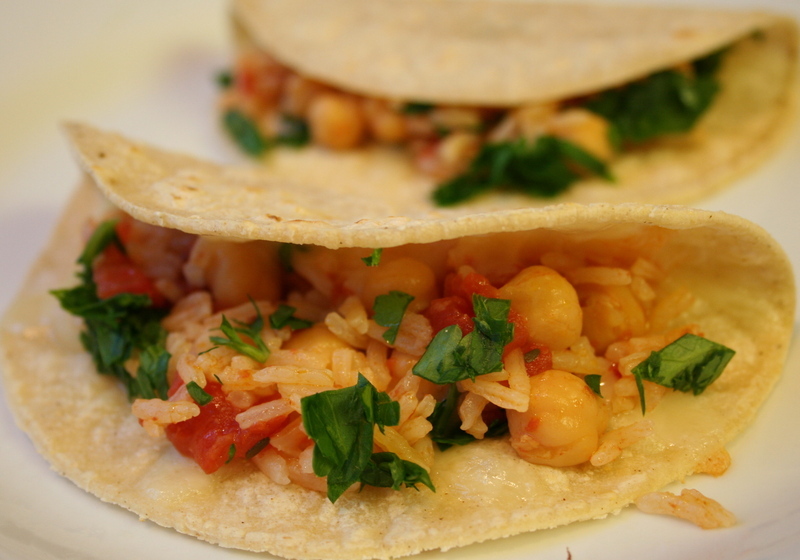 The first meal is a wonderful Deborah Madison recipe, Pilaf With Tomatoes and Chickpeas, that can be served wrapped in tortillas or alone with cheese sprinkled on top. 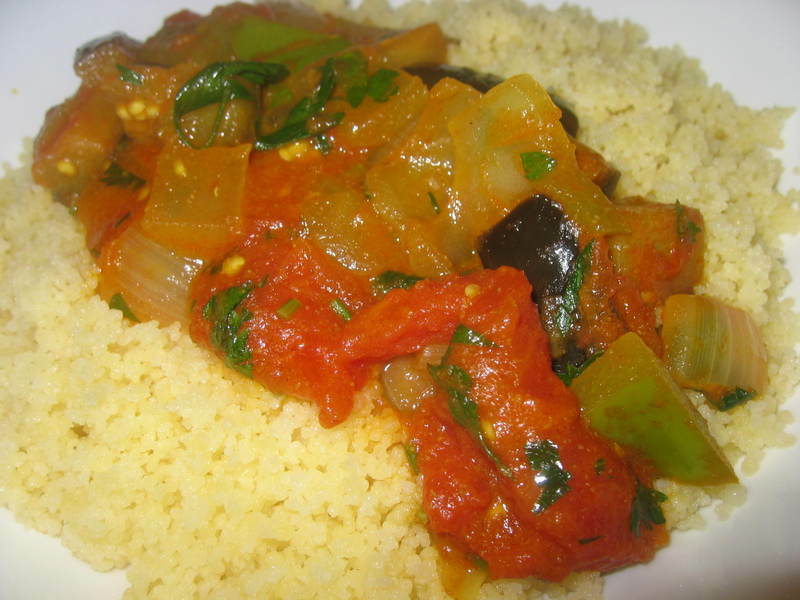 This dish tastes best when it's made with freshly picked tomatoes. But, canned tomatoes are fine too. The weather has changed so much here. We've had several days of rain, and It looks like we'll have more soon. That's not always the case here. Sometimes, I almost forget what it's like living in the Midwest and South, where rain is a fairly regular occurrence. We never know out here in the West. I remember years where it didn't rain at all for almost a year (well, it seemed like that). This cold, damp weather is just the thing for soup. And last week I made a soup that may seem odd at first glance. 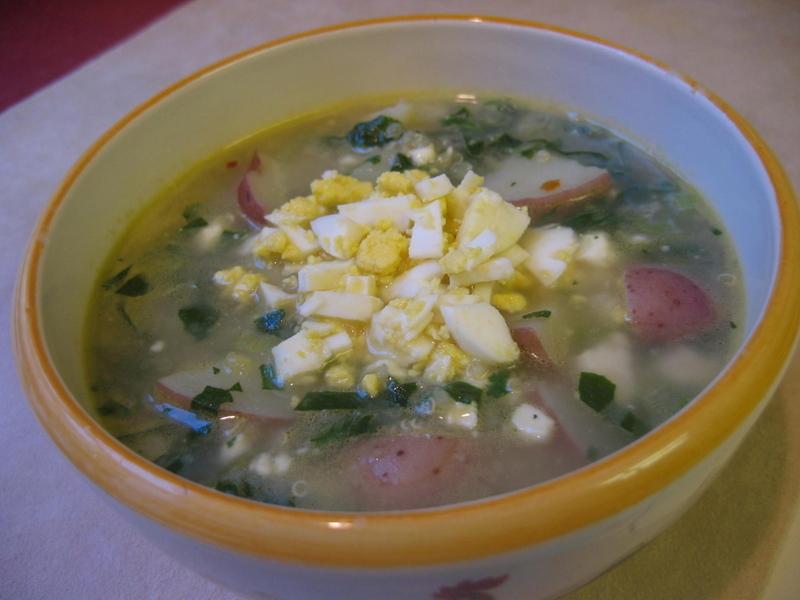 It's Deborah Madison's quinoa chowder with spinach, feta cheese and scallions. I wanted to make this soup for some time, to see how the ingredients worked together. Actually, I knew it would taste great because I've NEVER had a bad meal made from a Deborah Madison recipe. It's uncanny. But, this soup recipe is different. Madison herself wondered how it would taste when she first saw a version in another cookbook. 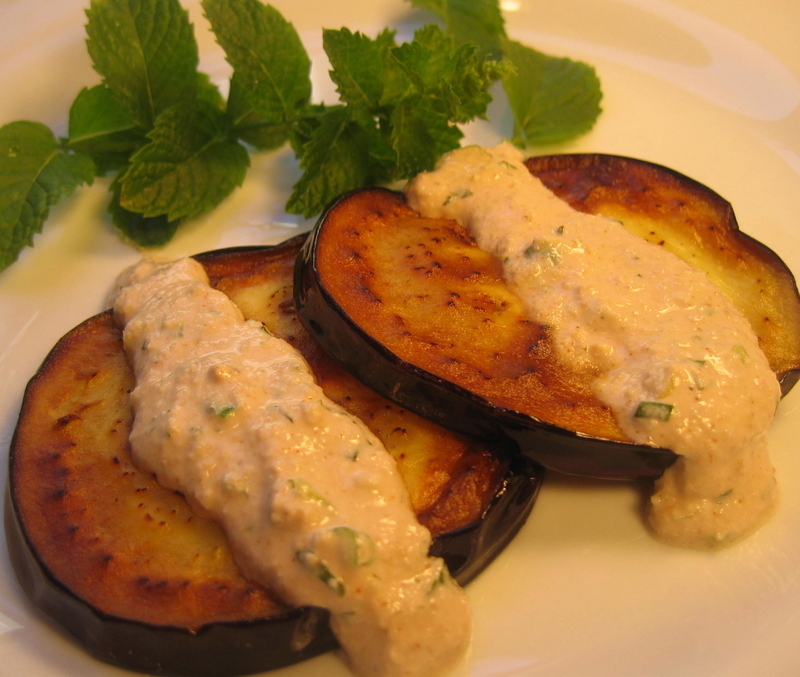 Well, it tastes wonderful--fresh and tangy and creamy. And the quinoa holds up well in the liquid, not becoming soggy like rice or pasta does after being reheated. This is one of my favorite soups now. My husband had two big bowls and announced enthusiastically, "That was good soup!" When he says that, it means the recipe is a winner. 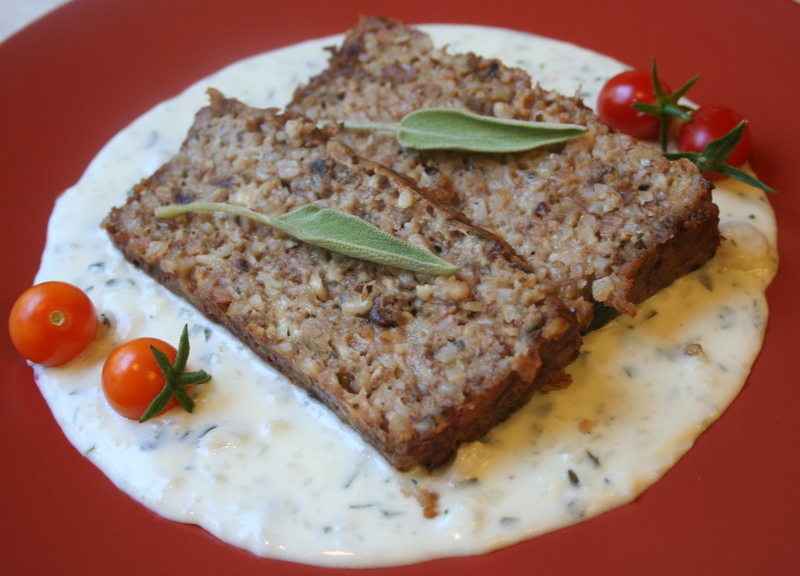 I noticed that Bunnyfoot also cooked a vegan version of this recipe. Hers includes corn and carrots and is very pretty. Finally, this is a quick and easy recipe that can serve as a complete meal, something I always appreciate. It's that time again, Weekend Herb Blogging, devised by the ever busy Kalyn of Kalyn's Kitchen. This week The Inadvertent Gardener is guest hosting WHB, so if you want to see different herby recipes, go over to her site. 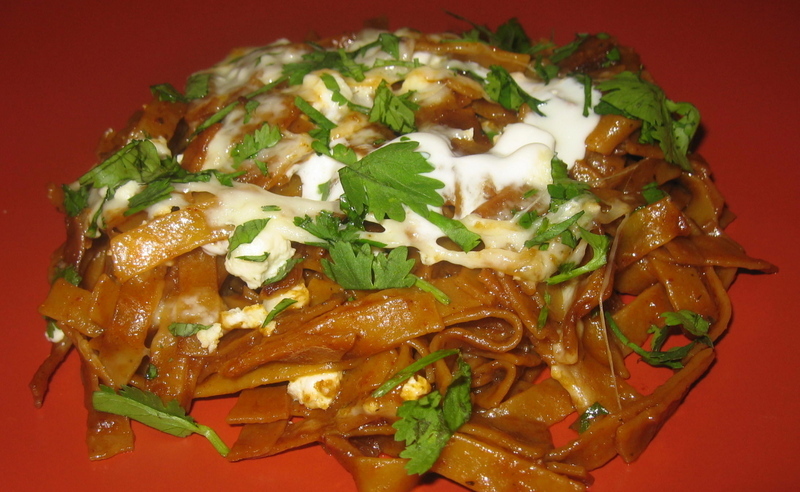 My dish this week is fideos, a wonderful recipe from my favorite chef, Deborah Madison. Fideos is somewhat like risotto in preparation. You add stock to pasta and cook until the pasta absorbs all the liquid. However, you don't need to constantly stir this like you would with risotto, and it cooks much faster. But, like risotto, the pasta is infused with the liquid it cooks in, giving it a luscious, almost creamy taste. This recipe uses a stock that I "created" one day, following Deborah Madison's suggestions in her cookbook, Vegetarian Cooking For Everyone. I used caramelized onions, which gave a sweet, rich taste to the stock. I love caramelized onions and add them to stews and soups whenever I have a batch stashed in the freezer. This dish has three herbs, bay leaf, thyme, and my favorite herb, cilantro. All of them are essential for the taste, but I think todays leading player should be bay leaf. Well, life is funny. The weather cooled down to 88 degrees, and I woke up with a very sore throat this weekend. Yes, I have a summer cold, which is always delightful. I'm going to look on the bright side and reflect on how much worse it would be having a cold when the weather temperature is 117 degrees. Besides having a cold, my pantry was almost empty. Bob was off kayaking, and that meant I would be the one running to the grocery store to get provisions. Instead, I decided to stay home and make something with the few things available to me. I always have some type of pasta, refuse to run out of that. 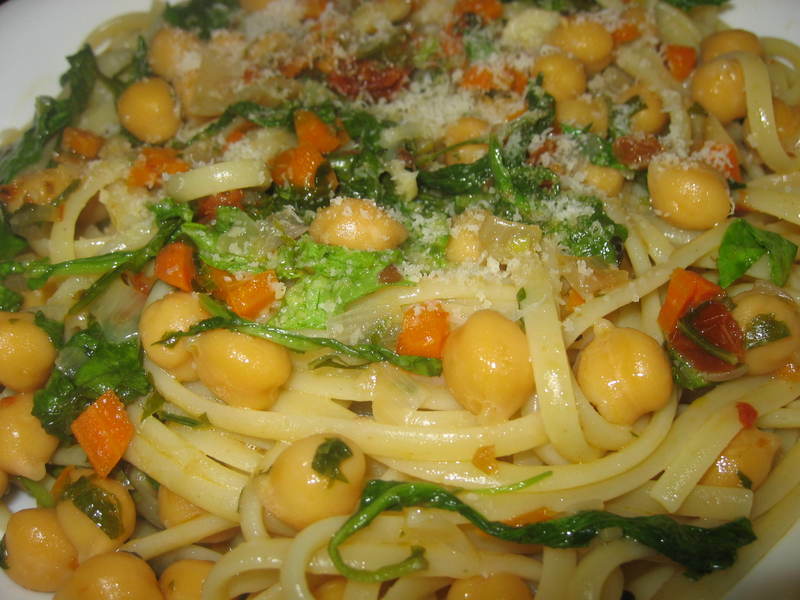 I also had canned chickpeas and arugula, and other odds and ends. 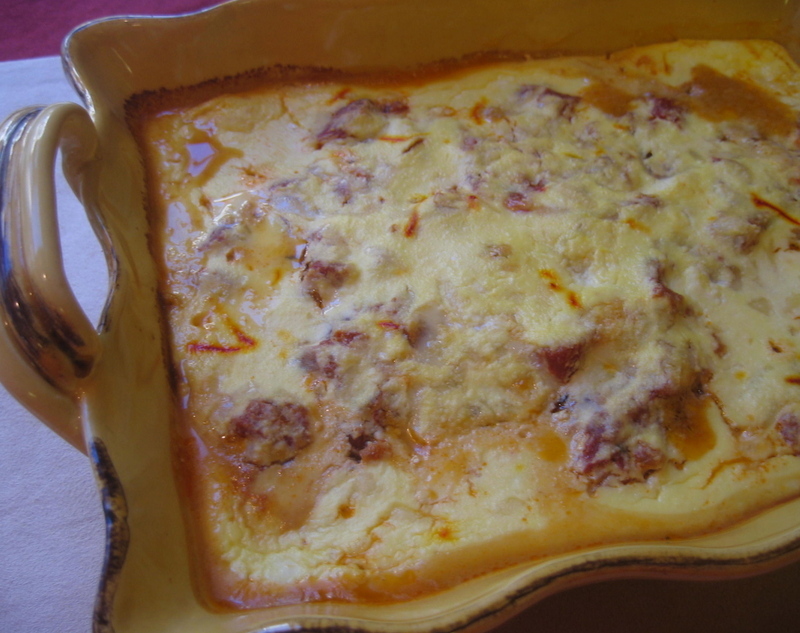 The result was an adaption of a Deborah Madison recipe. I know that some people find the thought of pasta and legumes rather odd. I was 8 years old the first time I ever had that combination. A friend of my mother was Italian and she invited us to dinner. To my horror, she served us a dish made with pasta and lentils. I had never heard of such a thing. To me, spaghetti and meatballs was sacrosanct, and the only acceptable way to eat pasta. Actually, I doubt I'd ever heard the word "pasta" then. 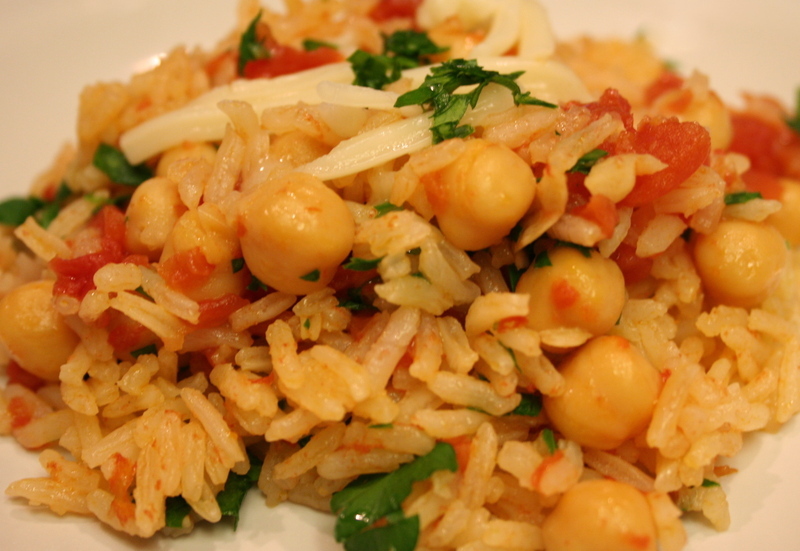 I didn't want to embarrass my mother, so I bravely ate the pasta and lentils--and hated it! 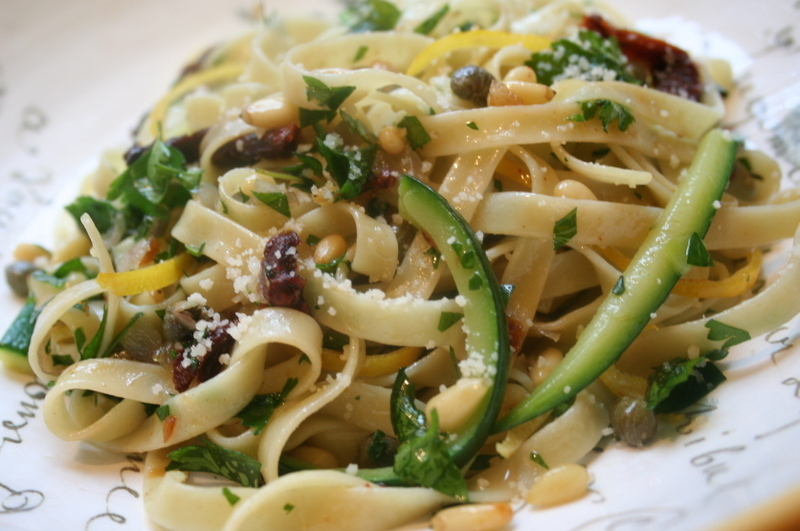 However, I've since developed a great love of pasta and legumes. They are perfect together.